Developers from Grinding Gear Games have announced another expansion of the free game Path of Exile - strongly inspired by the cult Diablo and Diablo 2. The new addition will introduce solutions reminiscent of Pokemon. 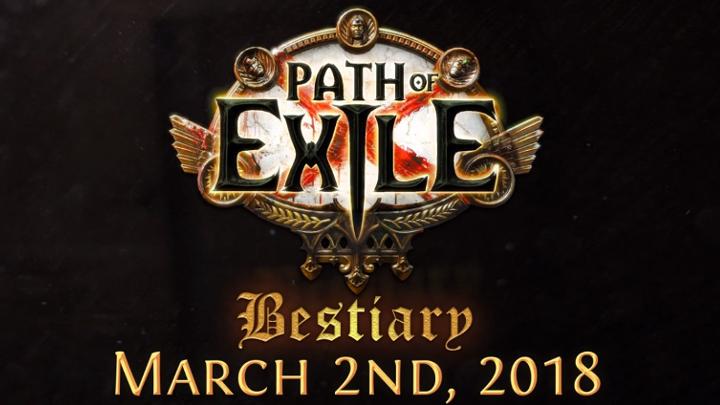 The Bestiary League, starting on March 2nd, will ask players to catch and collect various beasts in a special area reminiscent of the hero's personal menagerie. With monsters, you can then fight in a special arena, for specific achievements, to get the prescriptions necessary to create various powerful items of equipment. In addition to 250 kinds of basic beasts, the creators also prepared 40 special specimens with additional modifications - which will affect the quality of the item, which we will be able to produce after catching a unique specimen and sacrificing him in the arena. In addition, the new extension will introduce modified boss fights for veterans, a number of changes and fixes, and previously unseen items. The allowance will of course be free, introduced in the form of an update. Path of Exile is available on PC and Xbox One. More Path of Exile news please keep eyes on U4GM.COM which would devote to offer amounts of cheap Path of Exile orbs online.